Technologies like web and mobile B2B eCommerce and mobile order writing apps for sales reps are transforming B2B selling. With today's rapid advancements in cloud computing, mobile technology, and user experience design, many businesses are faced with a decision of whether to switch from custom, home-grown software to an off-the-shelf Software-as-a-Service (SaaS) solution. As SaaS providers have become more sophisticated in their ability to accommodate the complexities of B2B transactions, they are increasingly becoming the route of choice for many manufacturers and distributors. 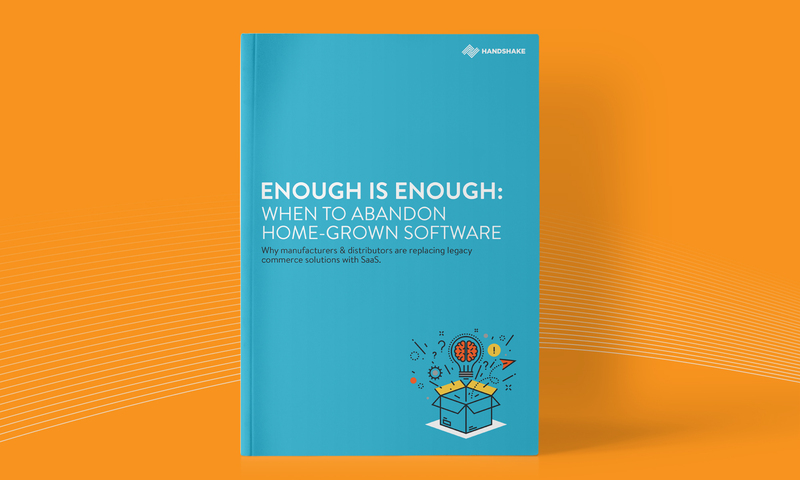 This white paper will explore why businesses are walking away from cumbersome home-grown commerce software. It also details how SaaS solutions can handle complexity while providing a more cost-effective, user-friendly and reliable experience. 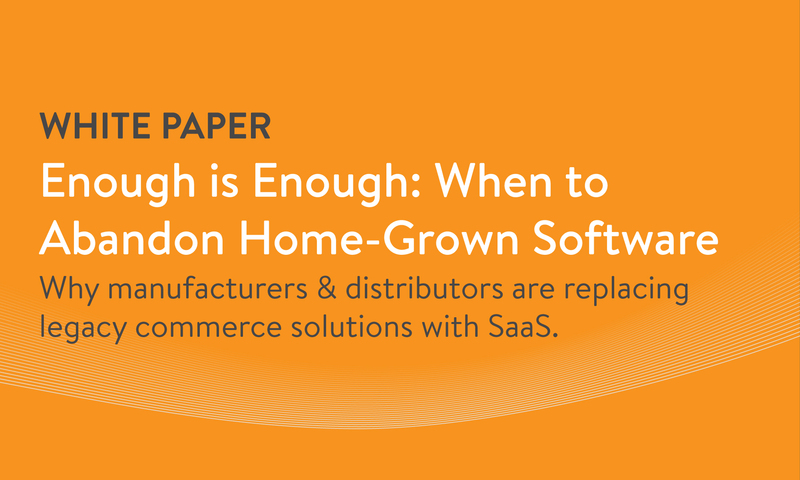 The pros and cons of both home-grown & SaaS solutions. Whether or not SaaS can handle the complexity of your business. Knowing when you should leave a custom solution.